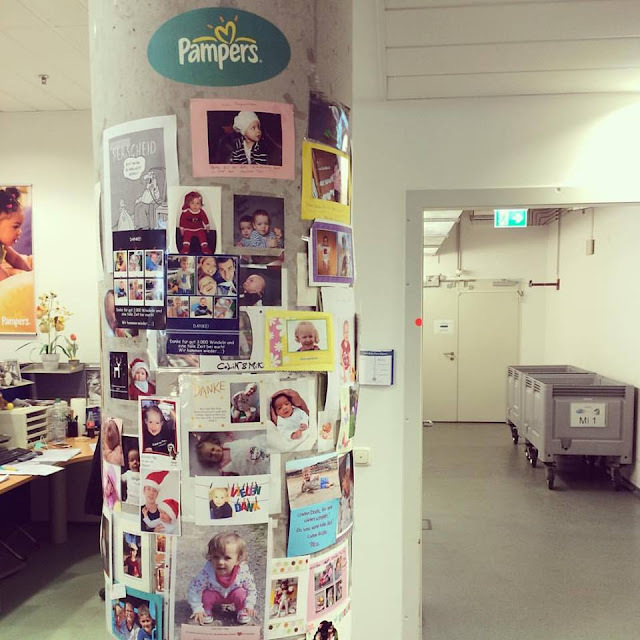 I've been a member of the Pampers Baby Board for the past couple of months and back in October I was invited to the Pampers Innovation Centre in Germany for the day. 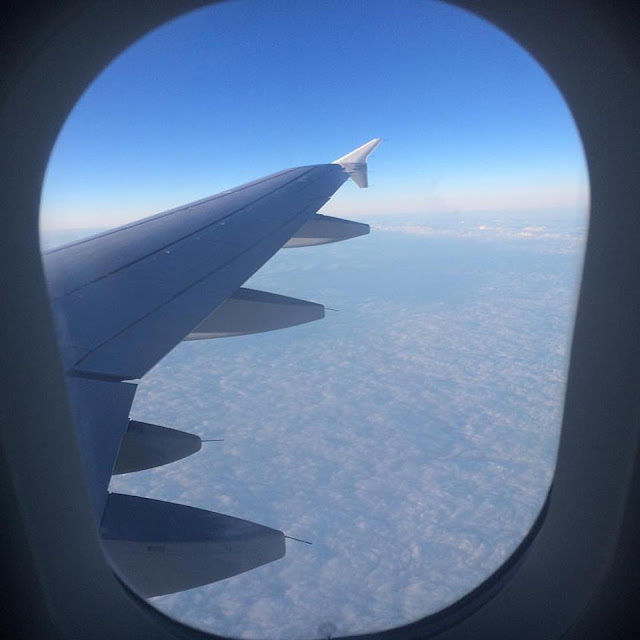 I was 20 weeks pregnant at the time and the thought of flying and travelling to another country on my own was very daunting. I have to admit that I was absolutely terrified but I'm so glad that I did it as it really was a once in a life time trip and I had such an amazing time. It's not every day that you get to fly to Germany and back in 24 hours! Once we arrived at the Pampers Innovation Centre we were welcomed into a board room and were greeted by friendly faces and some well needed refreshments. After a brief break we were then given an in depth and interesting talk about Pampers. The discussion was all about the history of the brand and information and facts on how they continue to develop and improve their nappies. Having used Pampers with my son I was already fond of the brand, but I learnt so much from the presentation. I was already aware of their commendable work alongside UNICEF, but what I didn't know is that Pampers are recommended by the British Skin Foundation. This gives me peace of mind as we will of course be using Pampers with our newborn when she is born next month. After the presentation we then headed down to the testing area where we met Frank who is a principal scientist at the Centre. Parents bring their babies to the Innovation Centre on a daily basis to try and test out the products for research. It was great to be able to see these parents and tiny testers and you could really tell that Pampers really appreciated and valued their feedback and cooperation. We were then given a tour of the entire Innovation Centre and what a large and impressive place it is. 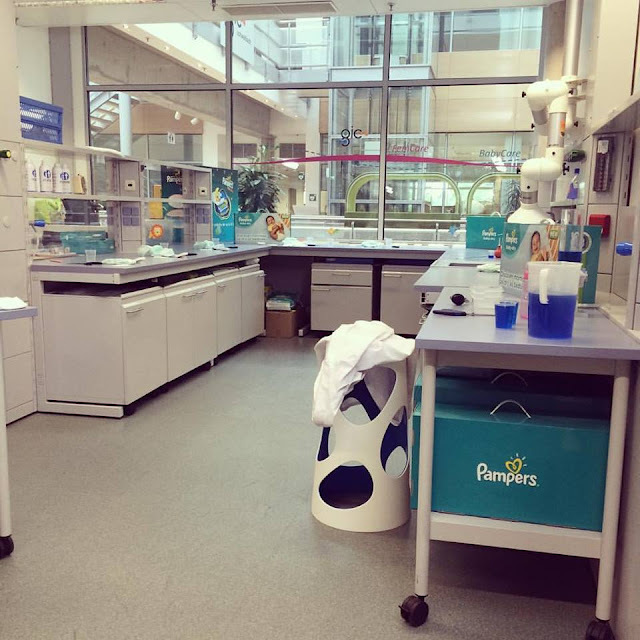 We visited various rooms which all had different purposes, the baby playgroup testing lab, the 3D measurement room where they make sure their nappies fit perfectly, the skincare lab and even the room where they produce the nappies which is totally top secret. It was really enlightening to learn what happens in each of these rooms and I was astounded at how much work and thought goes into every process. I was amazed at the fact that it can take up to ten years for them to develop a brand new nappy! Pampers have recently improved their Baby Dry nappies, so a lot of our afternoon was focused around them. We learnt about the new technology which is now inside the new and improved Baby Dry nappies and how it works. Did you know they are now filled with three different channels of Micro Pearls which ensures that when your baby wets their nappy, it's absorbed and spread more evenly. This helps prevents unnecessary leaks and provides optimal comfort and dryness for our little ones. They are also designed to last up to 12 hours which make them the perfect night time nappy. It was then time to leave and make the long trip back home to the UK. I left feeling totally in awe of Pampers because the brand is so much more than just a company churning out nappy after nappy. Believe me when I say that that Pampers really care about the health and well being of babies everywhere, not just here in the UK. They work tirelessly and strive to make the best nappies they possibly can and also do their part for many different charities. I'm very proud to be associated with Pampers and look forward to continuing to work with them over the coming months. This is interesting even though I try to steer clear of pampers. They smell horrible. Very interesting! I've never really thought about all of the research and development that goes into nappies, they've just become one of the things that I take for granted. We use Pampers as I find that they never leak. We've had some disasters when trying out own brand nappies (especially at night time) so I now stick with the most reliable option! A lot of great information. Really a great trip to experience. Thanks for sharing. Great Opportunity. As it would be Wonderful to know history, innovations etc of the brand. A very much trusted and respected brand. Not surprised that you enjoyed your day, though you probably found it tiring. This looks like a great experience. I didn't realise they had an innovation centre! Didnt know such a thing existed! That's really interesting. It's fascinating to find out more about what goes on behind the scenes at familiar companies. Thanks for writing/posting! Seems like a great opportunity. Would you maybe get the chance of any new products :- Sample packages to giveaway as prize. It allows people to try before they buy. I can recall years ago getting sample of Pull Ups. It really is so good to see how things work close up for yourself. Never new such a thing existed!